Designed specifically for dyed hair, this Dove shampoo for coloured hair helps to keep colour vibrant for up to eight weeks. Its unique formula with Vibrant Colour lock gently cleanses and protects hair, leaving it feeling silky and manageable, and with the appearance of long lasting hair colour. The best shampoo for colour treated hair in the Dove hair care range, it helps to nourish and protect hair from deep within, so you’ll visibly notice softer and silkier hair. 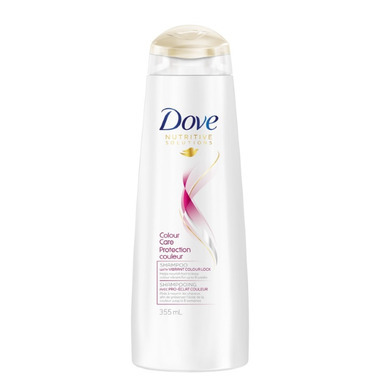 As part of the Dove Nutritive Solutions range, Dove Colour Care Shampoo is a gentle and protective shampoo for dyed hair that instantly smooths and progressively nourishes hair - making it look and feel beautiful, strong and healthier day after day. protects from color fading, i love it.